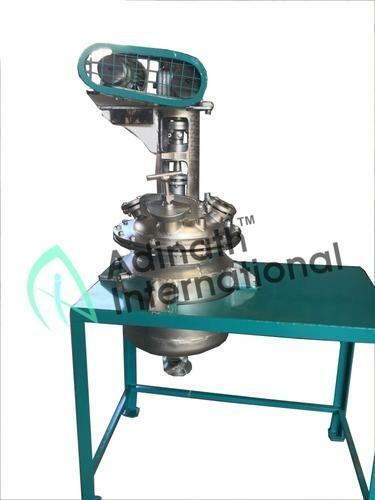 Pharmaceutical Reactor is manufactured utilizing high grade stainless steel (SS304 and SS316). Our offered range of vessel is generally used in chemical and pharmaceutical industries. These vessles available in capacity ranging form 10 kilo litres to 100 kilo litres. » Option for Variable speed drive. » Option for Mechanical seal instead of conventional stuffing box with gland packing. » Provision for inert gas medium. » Provision for rupture disc. » Provision to measure both jacket as well as liquid temperature at different levels of the vessel. » The vessel can normally withstand a vacuum of 650 – 700 mm of Hg. and 3 bar above atmospheric. Reaction Vessel is uses in Chemical, Pharmaceutical, Alkyd Resin, Paint, Saturated Resin, Urea Formaldehyde, Titanium, Glue etc.